When I was seven years old, my brother moved to the United States, and so started my obsession with following him. Luckily enough, I was able to 11 years later, and came to America to study for a degree in journalism. I went to a private, medium-sized college, I worked hard, and I graduated in four years. As an international student, you’re not eligible to work off-campus, and on-campus work can only contribute toward tuition fees, so as you can imagine, money was tight. Nevertheless, I followed the rules. I stayed in my dorm room most nights as I couldn’t afford to go out, and I went home to England during the summer months to work there. The money I earned at home was then used to pay for things the following semester. I was also lucky enough to have parents that helped me out along the way. I followed the rules unlike a lot of my international peers. Many worked at restaurants, bars and for friends in exchange for cash at the end of the pay period. My goal had always been to live here for the rest of my life, to find a wife and start a family, so I never wanted to get caught working illegally to jeopardize that opportunity that I was so lucky to have. After college I got a job designing a daily newspaper in Southern Minnesota. I had to wait around four months from my graduation for the U.S government to grant my temporary work permit. One week longer and I would have lost the job opportunity. I was lucky that the newspaper waited as long as they did. From there, I moved in to marketing, and I’ve been out of college and working now for more than two years. My point is, that all this time I’ve followed the rules and laws set by the U.S government. I’ve paid taxes; lots of taxes. I have health insurance through my employer. I’ve refrained from voting in elections. I’ve done my fair share of waiting for a VISA. But despite this, under the President Trump endorsed Reforming American Immigration for Strong Employment Act, I would not be allowed to apply for legal immigration to the United States of America. The proposed law is a merit-based immigration law, requiring potential applicants get 30 points to apply for legal immigration. The questions range from age and education level to whether you have a Nobel Prize or an Olympic Gold Medal. It also takes in to account whether you have a job offer or not. Since I have a job, I answered yes, but because my salary is below $77,900, I scored zero points. I also have no plans currently to invest $1.35 million or more in to the U.S. economy, so again I scored zero points. In total, I scored 26 points. Four away from the minimum requirement for application. But why? I’d like to think I am not a burden on the economy. I pay my taxes, like I’ve said. I do not have a criminal record, and apart from the four months in limbo waiting for my work visa, I have been continuously employed. Luckily, the bill is not expected to pass, despite the President’s open endorsement. Turns out that if your approval rating is tanking, endorsements don’t really mean anything. But regardless, let’s pretend it is going to pass, and if it does, it will have catastrophic consequences on the U.S. economy. Currently, there’s an estimated 43 million immigrants in the United States. 37 million of these are legal immigrants. Most come from Mexico, followed by India and China respectively. A 2006 study by the Kenan Institute found that although Hispanic immigrants imposed a net $61 million cost on North Carolina’s state budget, they contributed $9 billion to the gross state product. Immigrants, while historically dependent on welfare, have made an overwhelming boost to state GDP. Similarly, in Texas, low-skilled workers cost the state treasury $504 million more than they paid in taxes in 2005. The state’s economy would have shrunk by 2.1 percent, or $17.7 billion, without them, though. Even without this information available, the fact that statistically immigrants pay more in taxes in their lifetime that they receive in benefits should be more than enough to prove we’re not some burden. 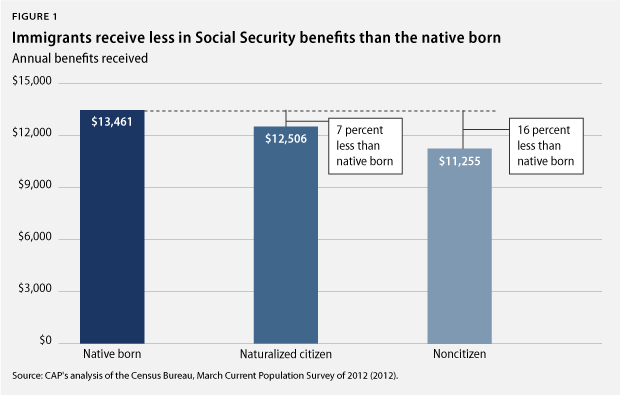 Immigrants actually receive seven percent less in Social Security benefits than native born citizens. Overwhelming evidence suggests that immigrants are less of a burden on the economy than Republicans have suggested and will continue to suggest. It’s extremely disheartening to know that despite your effort, hard work and money put in to the system, you still wouldn’t be allowed to immigrate under this proposed law. Funnily enough, President Trump’s own wife, Melania, likely wouldn’t be allowed to apply for legal immigration because of her lack of a college degree. It doesn’t help that Melania actually worked without authorization (just like my international college friends) and then lied about it during the naturalization process. She’s the “right” type of immigrant though, right? Time and time again we’ve seen that the GOP, and this administration specifically, simply do not care about blatant hypocrisy. This is no different. Most Americans would fail this test (in fact, the esteemed editor of this publication, Rich Larson, would too) but the GOP don’t care. It’s another way to appeal to rural, white America, who think “brown, welfare leach,” when they hear the word immigrant. I know I won’t be going anywhere without a fight. Credit to the country Ryan. Although Middleton is poorer without you. Keep on doing what your doing pal. Mike Harvey.